1. On December 18, 1912, an amateur geologist named Charles Dawson and paleontologist Arthur Smith Woodward presented a stunning finding to the Geological Society of London. One year earlier, Dawson had found a piece of a human cranium in a gravel pit near Piltdown Common, Sussex. Further searching by Dawson uncovered remnants of what appeared to be flint tools and the remains of prehistoric animals. Excited by his discovery, Dawson took the fossils to Woodward at the British Museum, and the two men returned to the gravel pit for a systematic excavation. 2. In the summer of 1912, Dawson and Woodward made the discoveries that would later shock the assembled scientists at the Geological Society. Among the animal bones and primitive tools, the two men found another skull and an almost entirely intact jawbone. The geologic and biologic evidence dated the site to the Pleistocene era, and the bones were clearly of a creature that resembled no other known at that time. Although the skull resembled those of other finds, including the famous ape-men of Java, the jaw appeared to come from some type of heretofore unknown species of ape. Startlingly, however, the teeth were worn down in a human fashion. 3. Dawson and Woodward's announcement of the so-called Missing Link between man and apes, which they called Piltdown Man, set off an immediate firestorm. Across the Atlantic, The New York Times reported the story with the dramatic headline "Paleolithic Skull Is a Missing Link." The ensuing controversy over human origins eventually led the Times to publish an editorial that cautioned readers from seeing Piltdown Man as the missing link; instead, the editors advised readers to see Piltdown Man as a link to man's prehistoric past, but not necessarily proof of evolution. 4. Similar editorials sprang up across the United States, and the American public was divided over the issue of human origins. Although no fossil could conclusively prove evolution, scientists had amassed a huge collection of fossils in the early twentieth century. These fossils seemed to indicate a pattern of evolution and demanded attention. In the United States during the 1920s, a movement sprang up to counter the theory of evolution. This movement culminated in one of the most famous trials in history, the Scopes "Monkey" Trial. 5. 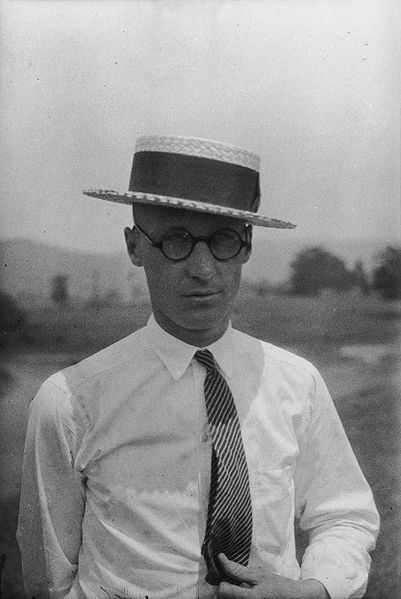 John T. Scopes was a biology teacher in a Tennessee school. The textbook he used in his class contained a chapter on evolution and natural selection, a violation of Tennessee law. Scopes was brought to trial for the offense, and the ensuing confrontation riveted the American public. Scopes was defended by Clarence Darrow, a noted lawyer, and William Jennings Bryan, a former secretary of state, worked for the prosecution. After a confrontational trial, which even included Darrow calling Bryan as a witness, Scopes was ultimately found guilty. 6. Although Scopes's conviction was later overturned, the precedent set by the case endured. It wasn't until 1967 that Tennessee repealed its law forbidding the teaching of evolution. And even today, the reverberations of the trial are still visible. One school district in Georgia recently began placing stickers on its biology textbooks disavowing the validity of evolution. The Supreme Court eventually decided that the stickers were unconstitutional, but a cultural battle over the validity of evolution still rages in the United States. Main idea (provide the missing words) - The discovery of that supported led to a over the of , which to this day.